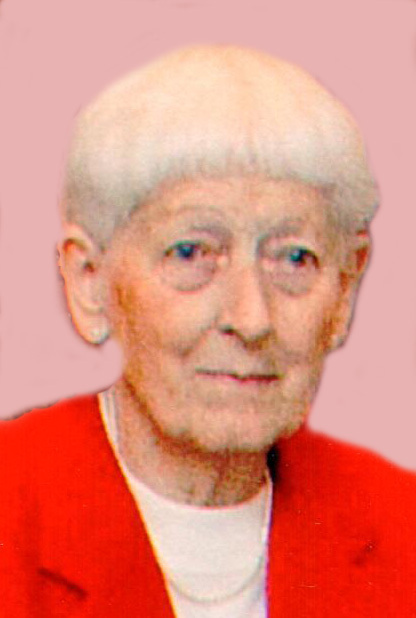 Obituary for Annadee (Markley) Heminger | Hartzler-Gutermuth-Inman Funeral Home Inc.
Annadee Heminger, 91, of Goshen, formerly of Elkhart, died on Thursday, January 24, 2019 at Greencroft Healthcare Center in Goshen. She was born October 21, 1927 in Goshen to the late Ray M. and Lucille E. (Gardner) Markley. She was also preceded in death by two sisters, Bonnie Kenaga and Marilyn Geyer and one brother, Raymond Markley. As Annadee Markley she married Carl Csiszar in South Bend on August 2, 1968. Carl died on July 27, 1995. She then married Raymond Heminger on April 18, 1998. He died October 1, 2003. Surviving are a son, Steven W. (Sandra) Gonser of Elkhart; one granddaughter, Jennifer (Robert) Allman of Wakarusa; four great grandchildren: Trey Allman, Nicole Allman, Jonathan Allman and Ashley (Jared) Yoder, one great great grandson, Stetson Yoder and one brother, Leland (Deana) Markley of Goshen. Annadee had been employed by Gonser Trucking as the secretary for eight years before her retirement. Prior to that she was employed in the purchasing department at Riblet Industries. She was a former member of Winding Waters Brethren Church. Visitation for Annadee will be on Tuesday, January 29th from 9:00 a.m. until 11:00 a.m. all at The Meeting Place at Greencroft Healthcare Center, 1225 Greencroft Drive Goshen. Randy Roth, Chaplain at Greencroft will officiate service at 11:00 a.m. and burial will be in Prairie Street Cemetery, Elkhart. Hartzler-Gutermuth-Inman Funeral Home is in charge of arrangements. Memorial contributions may be made to Cancer Resources of Elkhart County 23971 US 33 Elkhart, IN 46517.